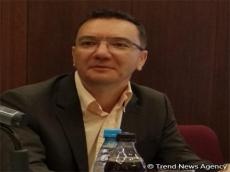 Coca Cola company has invested $150 million in the economy of Azerbaijan as of the end of 2017, the Regional Manager of Coca Cola company for the Caucasus region Adrian Cernautan told reporters in Baku July 20. The total amount of the company’s contributions to the state budget of the country in the form of taxes is about $250 million, he said. "If we compare the potential of the countries of the region with European countries, it is very high. They have more potential for development than European countries. Coca Cola company operates in about 200 countries around the world, and we think that we have a great potential for the development of our activities in the Azerbaijani market," the regional manager said. The company has been represented in Azerbaijan since 1994, he said. The factory was launched in Azerbaijan in 1996. The company's production facilities in Azerbaijan employ about 300 people currently. "However, overall, we employ approximately 3,000 people indirectly," Cernautan said. The Coca Cola company’s business in Azerbaijan is growing at a high pace, and Azerbaijan is the most dynamically developing country in the region, the company's regional manager said. "The volume of consumption of our products per capita in Azerbaijan is half less than in other countries of the region. Therefore, I believe that in the coming years we will be able to increase our market share twofold. We finished last year successfully and our revenues were two-digit. Our goal is to cover the needs of consumers, and we try to produce other products as well, along with our main brands," Cernautan said. Historically, Coca Cola company has been mainly engaged in the production and sale of such beverages as Coca Cola, Fanta and Bonaqua, the regional manager noted. "We have offered the market such brands as Cappy and Fusty in recent years. Burn energy drink, is another example. So far, I see great potential for the development of our existing product range in Azerbaijan, but it may happen that the issue of promotion of our new products will become relevant in the future. The company has some plans for the second half of the year and next year, but I can't disclose them," Cernautan said.